Who doesn't love to toast the new year with a special beverage? Fortunately, the Mt. Hood Territory Tap Trail and Wine Trail have just what you need to celebrate New Year's in style. It's one thing to go to a party bearing wine and beer from the store, but a whole other thing entirely to bring something thoughtfully chosen from a local craft beverage maker. Set out on the Tap Trail to sample some new brews from the 16 different breweries, cider and mead makers and distillery. Once you find the perfect creation, fill up a growler or two so you can share your great taste with everyone else ringing in the new year. Portland Cider Co. in Clackamas has a rotating tap of delicious ciders and scrumptious panini's while Trail Distilling in Oregon City has their staple (and award-winning) spirits to drink neat or make a delightful cocktail. Around the corner is Coin Toss Brewing with a heritage series of brews from historical recipes or venture up the mountain to Mt. Hood Brewing Co. in Government Camp for distinctive ales and après-ski snacks. If you prefer to toast with a glass of pinot, then check out one (or more) of the 17 wineries on our Wine Trail. Wooden Shoe Vineyards, part of the famous tulip farm in Woodburn, offers unique wines and amazing views while nearby in Canby, Postlewait's Vineyard & Whiskey Hill Winery specializes in estate grown Pinot noir's and is a gorgeous setting for your next event or special day. 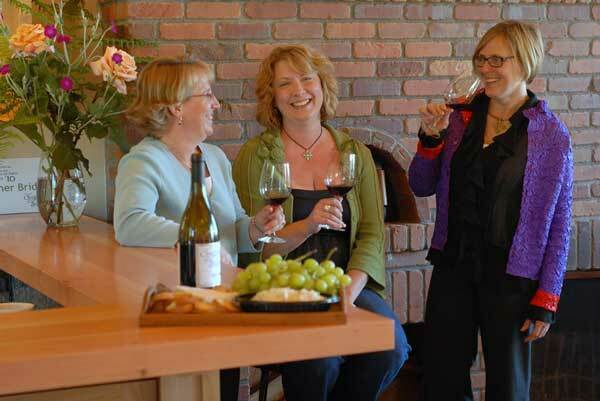 Oregon City is also home to several wineries along the trail, like Villa Catalana Cellars which offers a tranquil atmosphere and a wide array of wines. Find the perfect match to whatever you're serving and grab a bottle or two to help mark 2019's arrival. The best part is, the free mobile passport offers discounts at each location, so not only will you have a great wine or beer, but spend less getting it. That's called a win-win. Once the year starts and it's time to kick off those resolutions, we have few ways to help you there as well.